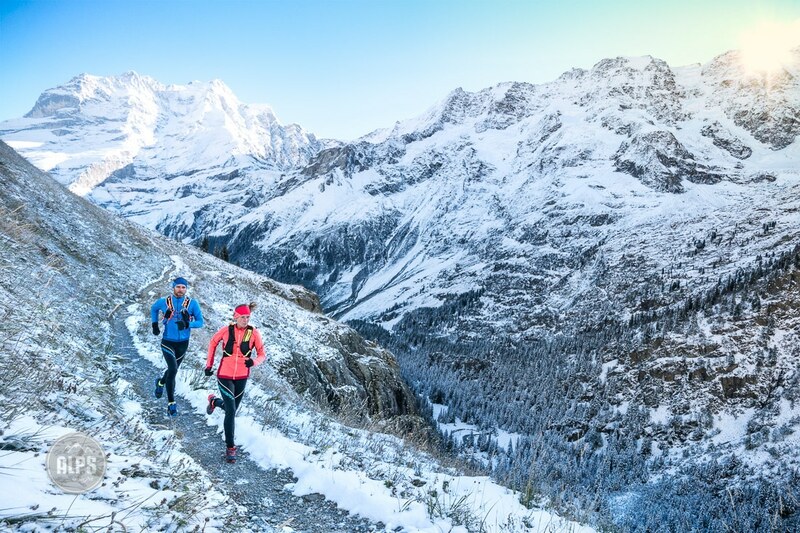 Yesterday Doug Mayer introduced why winter trail running may be the best time of year to be out, and how to make it easier. Today is all about the making it easier, and more enjoyable part – and yes, it’s gear talk! Does this scene sound familiar…? Because I’m pretty sure I’m not the only one who goes through this. You’re inside your warm home, it’s cold, blustery, maybe snowing, or worse, raining. It’s time to run. You want to go, but you don’t want to walk out the door. That transition period of leaving your warm home in exchange for the unfriendly, cold outdoors is something like that moment of walking into an icy cold mountain lake and reaching that cruxy waistline. You know you have to go deeper, but you sure don’t want to. Thankfully, there’s gear, and with the right choices this transition is nothing to avoid. In the Alps, ski mountaineering racing’s massive popularity has had a trickle down effect in gear design. A lot of cold weather performance gear is coming from the ski mountaineering world where ultra light, highly efficient gear is a must – also, strategies for how to use it. 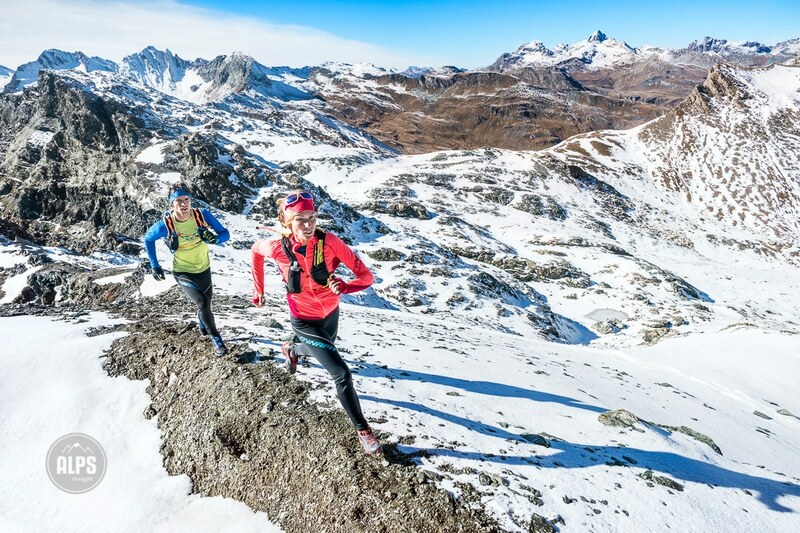 The result is trail and mountain running gear that overlaps with ski mountaineering, and comes from the same brands that keep the innovation moving forward. 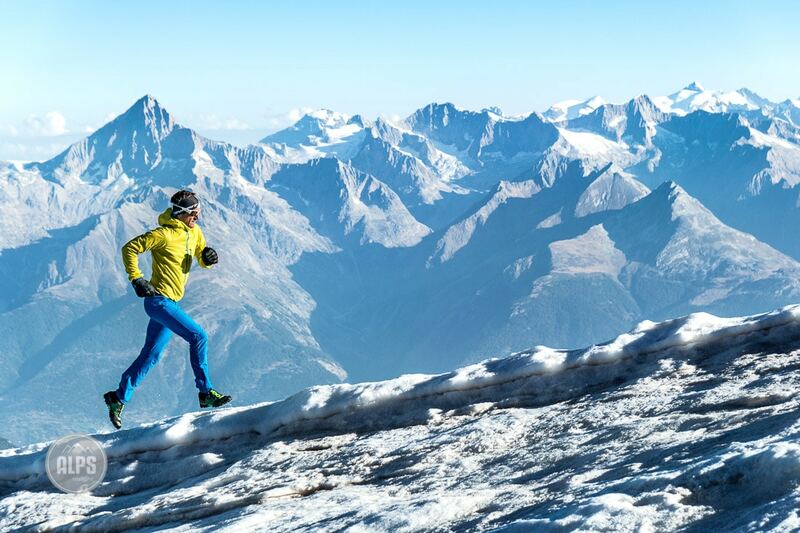 This innovation isn’t just for trail running, alpine climbing is also seeing a shift to true performance gear as both speed alpinism and alpine running grows in popularity, often blurring the line between ski mountaineering, alpinism and mountain running. What this means for the consumer is… some very good products! Temperatures can vary dramatically in the winter thanks to sudden wind, elevation and aspect change, or a passing cloud. Be ready with several light, thin layers—and always bring a shell layer to help reduce the effects of wind chill or to seal in body heat. Remember, you may be enjoying the cold temps on the way up, and even sweating a bit, but the downhill may turn that sweaty shirt into a frozen mess. Consider taking a change of base layer for long descents. For winter running, the key top is a ski mountaineering shirt with huge chest pockets that hold what you carry tight and snug against your body. In these pockets, designed for ski skins, you can carry much of what you need for most winter runs, especially soft water flasks, a buff, ultralight shell, and food. To replace a beanie, these pieces also have fitted hoods allowing you to take one less piece of gear. The Dynafit DNA Jacket is ideal. After a long climb, that base layer under your jacket is going to be soaked. Consider carrying a dry layer for the descent. As you head out, plan for your body temperature once you’re warmed up. You’ll be chilly at first, but it’ll save stopping to readjust layers ten minutes later, and you’ll nix one more interruption. Also, over heating leads to sweating and the potential for really getting chilled if you start a descent soaked. Air is drier in the winter, and with every breath, you’re unwittingly losing fluids. On a longer run, drink before you feel thirsty, and stay ahead of dehydration. Soft flasks carried against the body are ideal. Check Hydrapak’s collection as they are the proven leaders in soft flasks. While some people’s hands never get cold, others, with their hands swinging through the cold air, freeze. For most people, a good pair of trail running gloves, with a wind barrier, are worth the investment. The Dynafit Race Pro glove does the job for most conditions, but when it’s truly frigid, the super light and insulated Black Diamond Stance glove is fantastic. Buffs are a great addition to your trail running pack as they’re versatile and warm. They can cover your neck, ears, or head – and in the most extreme weather, serve as a face mask to breathe through. Buffs go on every trip. The joke goes that “winter is the time when it gets late early.” If I’m heading out for a run in the late afternoon I take a small light, just in case… I might see friends or decide to extend my run, and suddenly that all too early darkness is upon me. Leave your options open, take a light. For emergencies, the tiny and light Petzl e+LITE is enough, but for real use, there’s nothing better than the Petzl NAO. 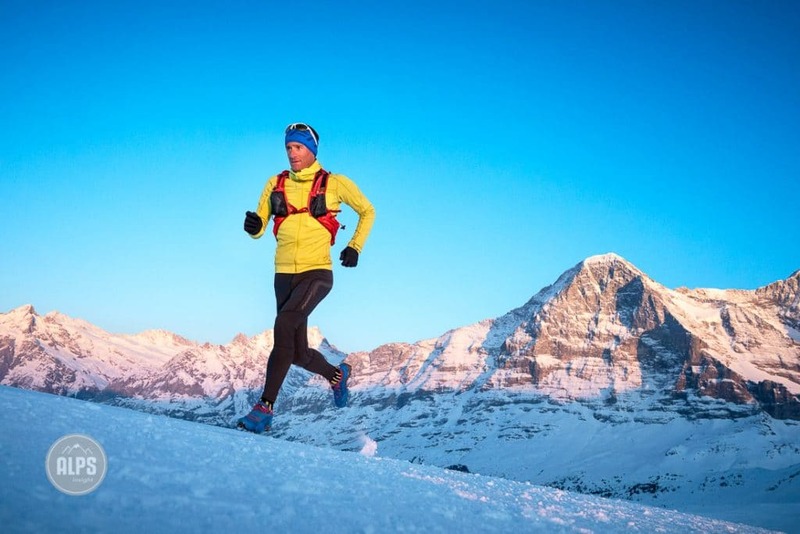 As the physical connection to snow and ice, your shoes are probably the most important piece of gear for winter running. Many brands make a specialty winter shoe that includes a built in gaiter, a waterproof barrier, lacing enclosure, and a sole designed to keep your feet from slipping, be it in the form of spikes or a sticky rubber compound. Buy your shoes a bit larger for a thicker sock. 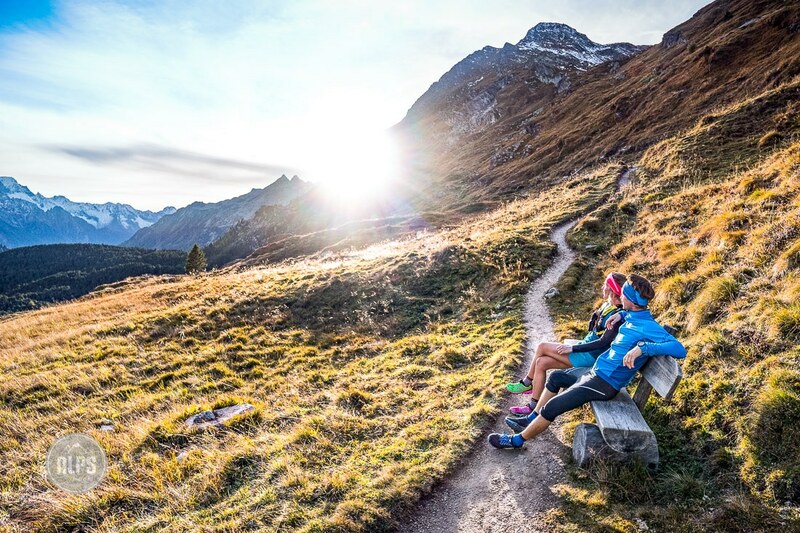 Brands like Dynafit, Salomon and Scarpa all offer high end winter trail shoes. For the iciest conditions, the studded Salomon Snowcross is ideal. For winter, there is just more gear; gloves, hat, an extra layer, etc… If you’re out for anything longer than two hours, odds are you’ll want a light pack to keep a jacket, or even a change of shirt in. If you do a long uphill, changing into something dry is key for the down. Anything up to a 12-liter size is probably enough. Winter is typically not the time for full exertion. Instead, it should be a time to enjoy some things you might not typically do in the warmer months. For most people, it is about maintaining a base level of fitness or weight control. But it might also be a period of recovery, not just physically, but mentally. If you push yourself to achieve goals for much of the year, maybe it’s time to just run for the sake of running. Or run to just be in the mountains. If it’s a sunny day and you see a nice bench with a view, stop and enjoy it. Based in Chamonix, Doug is the owner of Run the Alps and a regular contributor to ALPSinsight. Now you’re ready with the right gear, strategy and motivation for running in the cold mountains. Agreed, the skimo crossover is great. I love leaving in a warm skimo skirt- it’s like starting the run still cozily wrapped in a blanket. And don’t forget merino socks to stay warm even when they’re wet. I always used to have cold hands, regardless of how thick my mittens were. That was, until I learned that arm warmers can have a real positive impact on how my fingers feel. Needless to say, some emergency clothing/gear makes a lot of sense. The margin of error is much smaller in winter than in summer if you are forced to stop running and can’t generate warmth through movement.